Terezín (german: Theresienstadt) in the Czech Republic is a city built as a fortress, in the 18th century. At the time of the occupation by the Nazis the city was used as a ghetto and concentration camp. Today, the town is still full of traces and remains of these sad years, which threaten to disappear by inhabitation. Up to now these mute witnesses were not systematically examined. A german-czech team of authors, monument conservators and restorers has now started the mammoth task to sift countless relics and traces and to document them. 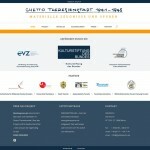 First results of the project, which is supported by several German and Czech institutions, are already available. 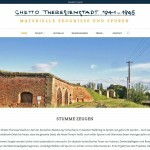 As a technical service provider, we were responsible for the programming and individual implementation of the extensive website www.ghettospuren.de. Together with the principal wildfisch, a magnificent designer of keksbox.com, as well as a professional project manager of stackofstones the web page could already be published.